At dinner tonight in a local restaurant with T., my husband, sister and mom. At the table behind us were a mom, grand mom, one of their family friend’s and 5 kids. T. successfully engaged them, as he is wont to do when he is in a public place. I noticed two of the kids asking the “Mom” something while the other three at the table listened – she said sotto voce, “He has Downs.” There were some quizzical looks. She elaborated, but I couldn’t make out what she said while they all watch us. There were nods all around that some understanding had been reached. Later, after T. had turned full around in his seat to observe them – I waved and smiled. The Mom said to me across the divide, “I think he likes looking at the kids”. I nodded in the affirmative. There was more smiling and waves. She asked, “How old?” I said, “He turns 4 next week.” The oldest boy at their table who was maybe 10 years old said, “Wow, that’s great,” The Mom said, “Seeing him makes me want another, but, you know, my husband thinks…” trailing off. She meant, “I miss having a little one in the brood”. There were more looks back and forth between the tables – smiles and little waves. When we left I said, “Bye” and smiled. They did the same. Folks, that’s how it is done. Our kid looks different. We know it and you do too. 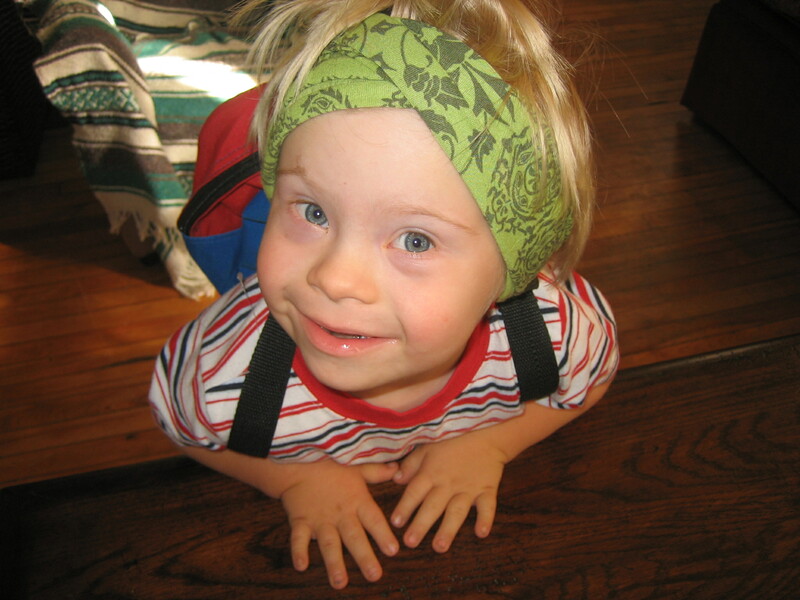 This entry was posted in By Notatypicalmom, Down syndrome, Parenting, Special Needs by Kari Wagner-Peck. Bookmark the permalink.